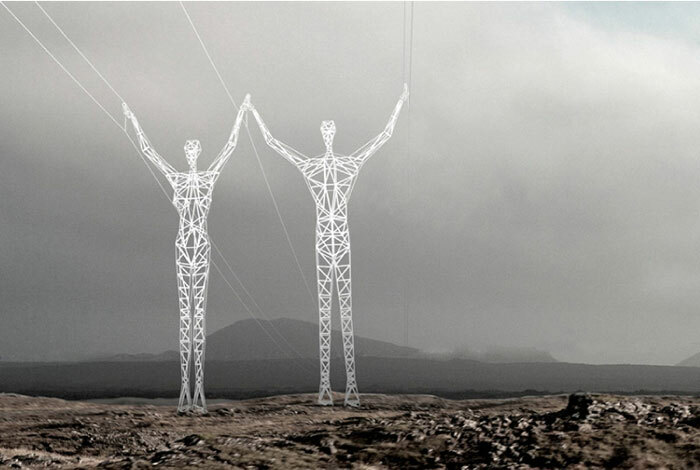 The Land of Giants is a proposal by Choi + Shine Architects to transform mundane electrical towers into pylon-figures with the idea of brightening up the ugly utilities that stretch across Iceland's volcanic landscape. The plan was for the pylons to stand at 150 ft tall and configured to respond to their environment with appropriate gestures. 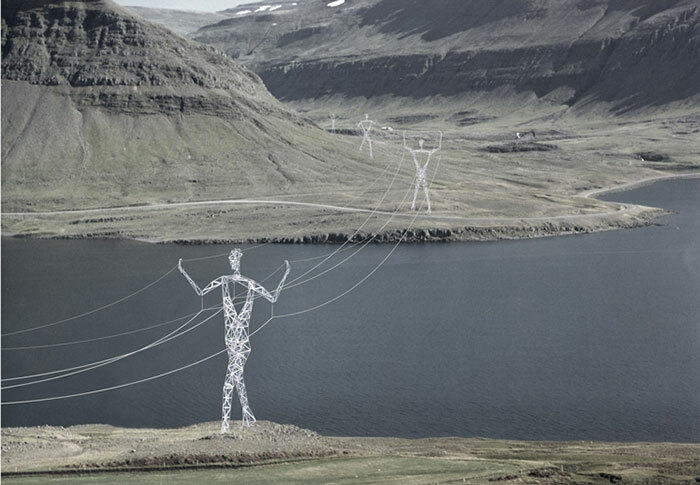 The pylon-figures could resemble a person climbing when the electrical lines ascend a hill or on long spans, it could stretch to gain increased height, crouch for increased strength, or strain under the weight of the wires. 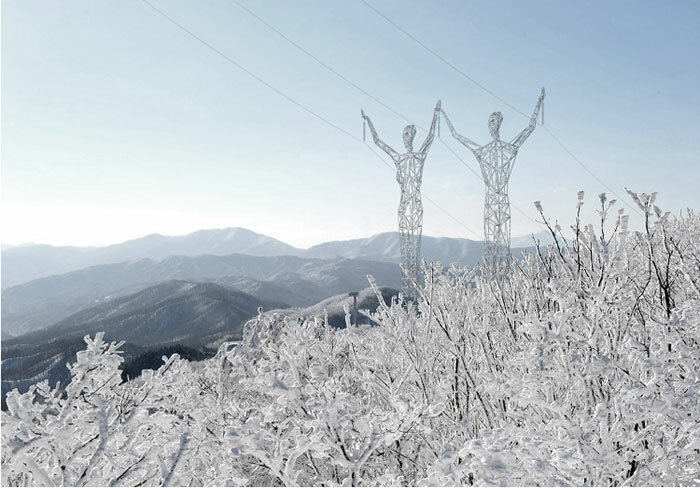 The pylon-figures can also be arranged into different forms such as walking in the same direction, kneeling, or head bowed at a town to create a sense of place through deliberate expression. 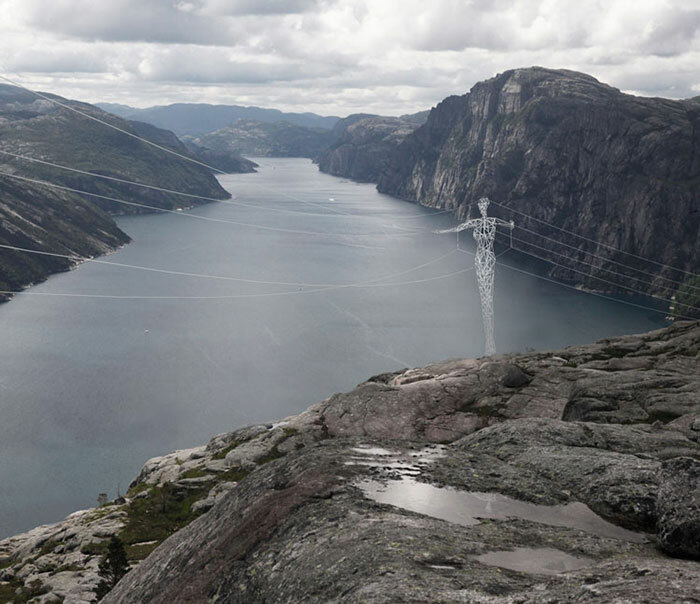 The architects envisioned these modern caryatids to belong to the landscape while quietly transporting electricity across different terrains and weather conditions. 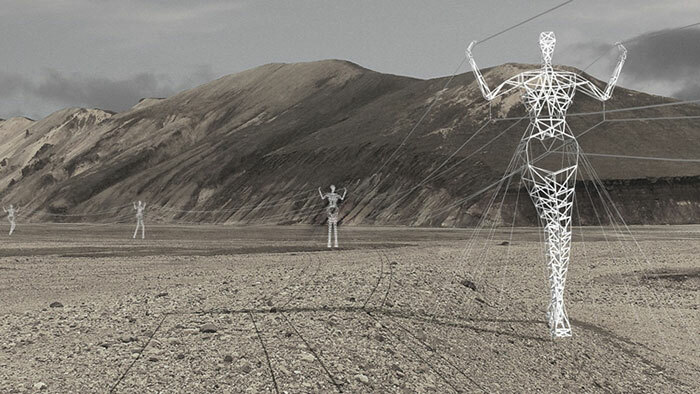 The Land of Giants is a proposal by Choi + Shine Architects to transform mundane electrical towers into pylon-figures.